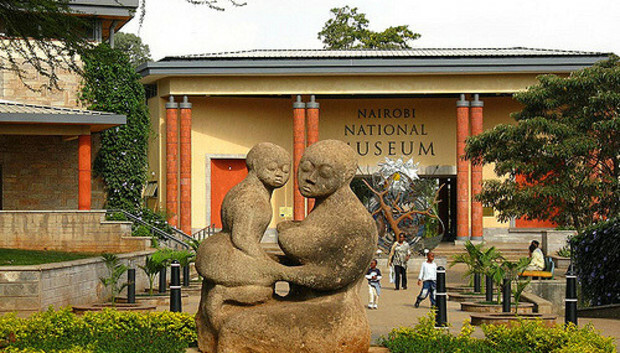 The National Museums of Kenya (NMK) was founded in 1910 and today boasts one of the largest collections of archaeology and palaeontology in the world. This includes artefacts dating back two and a half million years along with entire natural fossil heritage of Kenya. Now, like many other local archives, it is looking to digitise the whole collection. This will include a new interactive website and virtual museum which should both increase public access and provide greater visibility to a global academic and research community. The nuts and bolts of the project are being undertaken by Amazon Web Services and Intel along with Digital Divide Data (DDD). The first phase will digitise 10,000 of the most valuable artefacts. We caught up with Dr. Fredrick Manthi, Head of Earth Sciences Department at the NMK and the lightly edited Q&A can be found below. How did this partnership with Digital Divide Data come about? Digital Divide Data was introduced to us a few years ago as a leader in developing digital archives for natural and cultural heritage collections. They have played a key role in understanding our goals and objectives and bringing together technology leaders like AWS and Intel to help support the digital archive program at NMK. DDD has a large team in Kenya that provides digitisation services to various institutions worldwide and we hope to use this expertise in our project. For the first phase, the focus is the premier archaeology and palaeontology collections in the Earth Sciences Department. Over time, our goal is to expand coverage to include key collections from all other research departments at the NMK, as well cultural heritage collections from the more than 20 museums under the National Museums of Kenya organisation. Who is your primary audience and is this likely to change? There are two key audience groups that we are targeting. The first group includes Generation Z and the Millennials – youth that are digital-first natives that will get exposed to Kenyan heritage and world history through the interactive website, and virtual museum. Our goal here is to provide a virtual experience that engages people and gets them interested in understanding and learning about Kenya’s cultural and natural heritage. The second group is the worldwide scientific and research community that will be able to virtually access complex and detailed data sets, GIS information, 3D models on specimens and artefacts through the digital archive. This will act as a catalyst to accelerate research and data analysis and hopefully provide opportunities for new research projects and discoveries. Will there be physical changes within the museums because of digitisation as well as the online element? We do see the digitisation project as a complement to our physical collection. The digital collection will give us more opportunities for outreach and stakeholder engagement. It is too early to say what other impact might be possible. What kind of data for next generation research do you hope this will generate? One of our critical challenges is lack of standard, accessible data around our various collections. Our goal is that by developing a standard referenceable ontology and by building a relational database framework accessible over the cloud, we will be able to provide standardised, searchable data for researchers to analyse collections from new perspectives, and improve the accuracy of curation of existing and new collections.